In an ideal world, if you start your career in your forties, whatever urgency you feel will result in productive efficiency. In my case, that has sometimes been the case. But there is a fine line between constructive urgency and the kind of panic that is anything but. I know this because I have allowed my panic about the passing time to end up—ironically, unfortunately—costing me precious years. When I started writing my first novel, I was 42, working on short stories at the same time, including the 10 that went into my collection, If I Loved You, I Would Tell You This. The stories were endlessly exciting to me, little puzzles with which I became obsessed, and I loved writing them; even though for every one I finished, I abandoned at least another three. That part could be disheartening, but I began to recognize it as my work style—many projects happening at once, a lot of pages never making it off my hard drive. I was a writer who needed to play with ideas in order to learn skills. 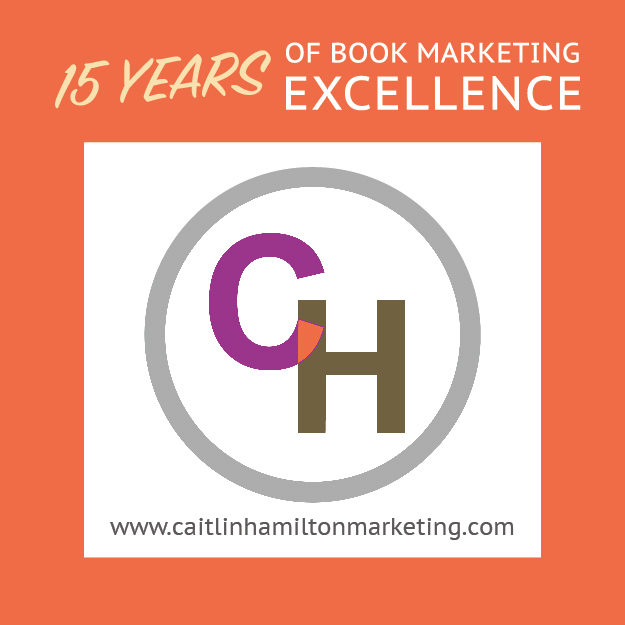 And though the pace frustrated me—after all, I was into my forties with no sign of book publication yet—I also accepted the process, in large part because, with each finished story, I felt a sense of accomplishment. Also, I could publish stories individually, so even without a book, and even as I discarded close to 80% of the short fiction I wrote, I received the thrill that publication brings. I heard such lines so often that I developed an attitude toward the phenomenon, and that attitude was: I don’t have time for that. After all, these writers were talking about novels they had written in their twenties! Maybe their early thirties! It was one thing for me to toss out failed stories, but to put years into a full-length book and then abandon it? At that rate I’d be in my fifties before I had a published novel! There was just no way. I had started a novel, I was progressing with it, and it would be The Novel one day. And yet the word count went up, the scenes accumulated. Nose to the grindstone, I worked on, barely letting myself know what I knew—like many a married person who can feel the union crumbling and is frantically staying busy to avoid the truth. With the stories that I considered my best work, I always understood why I wrote them. The themes resonated for me, the plots fascinated me. I couldn’t wait to share them with readers. But with this novel? None of the above. All of those words I kept adding took time; and soon I was a couple of years in. Precious years. Late Bloomer years. The part of me watching the clock , aware of the calendar, refashioned my dissatisfaction with the manuscript into something I could explain away: It’s just a first draft, they’re never any good. And: as a short story writer, I’m still getting used to the pacing of a longer work. I even went so far as to sell the novel—part of a two-book deal, when I was about three years into the project, 46 years old at the time. I didn’t sell it on the basis of all the pages I had (which I still wouldn’t show), just the first 50, and a summary of the rest. There was nothing cynical or duplicitous about the sale. It would be fine, I told myself, convincingly enough. The story collection would come out first and by then, the novel would have survived its awkward adolescence and somehow blossomed into a book of which I could be proud. But things don’t always go as one plans, much less as one hopes. My editor didn’t want to publish the stories first. She wanted me to take a few months to whip the novel into shape and then send it to her so we could move forward. And on one level that was thrilling. I was just shy of 47 when I sent in the draft, so I could still get that novel out in the world before I turned 50—the arbitrary goal I had set. On another level though, it wasn’t so fine. I worked and worked and worked that fall and winter, feeling increasingly as though I were working on some random manuscript that kept inexplicably materializing on my computer screen. The situation, the location, the people, all felt alien and uninteresting. But maybe that was just fatigue, I told myself. Maybe working on anything for so long leads to inevitable boredom. And no writer has perspective on her own work, I reminded myself. So I pushed through my doubts, got it into the best shape I could, tried to believe that I was being too hard on myself; and I hit send. And then I waited. And waited. The day of reckoning came when I was called to New York to meet with my editor and her assistant. The vibe in the room was not good, and my capacity to rationalize was ebbing fast. Nobody said anything harsh but nobody said anything enthusiastic either, and as the other women in the room went through the copious changes they thought should be made, discussing their responses to the characters, I felt very little beyond the desire to say, I know this isn’t my best work, I’m so sorry that I wasted everybody’s time, and cut the meeting short. I didn’t do that, but I must have conveyed something of what I felt, because my editor never handed me her notes, though they were extensive and she had initially said that she would; and shortly after that meeting the decision was made to publish the story collection first. Even then though, I didn’t give up. As difficult as this is for me now to believe, I was so horrified at the thought of having wasted more than four years, in my mid-forties, on a “starter novel,” that I simply couldn’t bear the thought of starting again. And so for another six months, I dug away at the thing, changing the point of view, changing the tense, removing one character, putting in another, aware of two things as I did: The first was that these are common revision practices and don’t by themselves mean a manuscript is doomed. The second was that this particular manuscript was doomed. I called it, pronounced it officially dead, a few months before my story collection came out. The timing wasn’t a coincidence. Imminent publication was the nail in the coffin of my denial. I knew the stories might find detractors, but I also knew I could stand behind them as my best work. And no amount of effort would make this novel into something I wanted out in the world. Possibly, it could be patched together into an okay book, but never into one of which I would be proud. My editor was gracious—maybe, I have often suspected, relieved—and sent me off with the mandate that I try again, and write the best novel I could write. I did, it’s out this summer, and I am 52. My awareness of my age plays many roles in this story, some conflicting. I stuck with the first novel longer than made sense, because I couldn’t bear to have “wasted” years, to postpone the dream any longer, a set of emotions that fueled some impressive denial. But of course, ignoring my gut feeling that the book was best abandoned only led to my wasting more years. Telling this story, it’s easy to be irritated with myself, but it’s a terribly hard balance to strike, I think, for those of us who feel the pressures of time. How do you respond to that urgency productively, savoring the days and making the most of the months, while not letting the awareness of age and even mortality morph into the sort of panic that warps your judgment? I don’t have an answer. I don’t believe there are answers for many of life’s bigger concerns. But I know that when I look back on that first novel and am disappointed about the wasted time, it’s not the first few years that I regret; it’s the ones after those, the ones when I pushed the truth away, refusing to know what I already knew, because I was so worried about my age. And the lesson learned is the same lesson I learn again, again, again: A writer, of whatever age, needs to concern herself with the writing, its quality and its promise; and anxieties of any other kind, worries about publication, about reception, even about passing time, will always do more to hinder than to help. Robin Black’s story collection If I Loved You, I Would Tell You This, was published by Random House in 2010. Her stories and essays have appeared in numerous publications including The Southern Review, The New York Times Magazine. One Story, The Georgia Review, Colorado Review, Alaska Quarterly Review, Freight Stories, Indiana Review, and The Best Creative Nonfiction, Vol. I (Norton, 2007). She is the recipient of grants from the Leeway Foundation, the MacDowell Colony, the Sirenland Conference and is also the winner of the 2005 Pirate’s Alley Faulkner-Wisdom Writing Competition in the short story category. Her work has been noticed four times for Special Mention by the Pushcart Prizes and also deemed Notable in The Best American Essays, 2008, The Best Nonrequired Reading, 2009 and Best American Short Stories, 2010. She holds degrees from Sarah Lawrence College and the Warren Wilson MFA Program for Writers. You can read an excerpt from Life Drawing, which will be out on July 15, here and here. Tags: Desk Drawer Novel, If I Loved You I Would Tell You This, Life Drawing, Robin Black. Bookmark the permalink. Oh, I can so relate to this – I’m currently at that stage with a first novel and have days when I think I should just toss it in the bin and start from scratch. Except that, like, you, I feel I don’t have time to waste. It’s hard to know what’s simply insecurity or real wisdom, though. It is so hard, at every stage, to know when you are being too easy on your work, and when you’re being too hard – and whether it’s even possible to get the necessary objectivity on it, ever! Just know, we have all been there, and if you step away from the novel and then change your mind, it will still be there. Thanks so much for the comment!